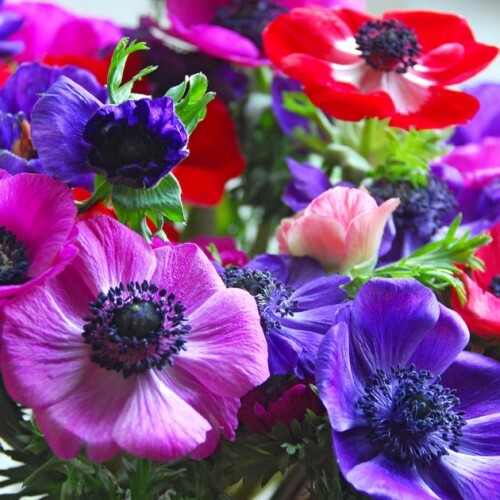 A great mix of brightly coloured, double petaled flowers. Terrific container plants! Anemone De Caen also do wonderfully grouped along borders where you need a splash of colour. 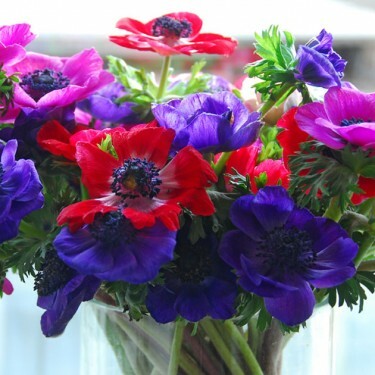 Plant them in your cutting garden for a unique addition to your flowering bouquets. Their thickish stems make them great for cutting but also allow them to bend in the breeze without stressing the plant. For best results make sure to soak the hard corms in water overnight before planting.